How does one go from a passion to an entrepreneurial success? Join us for a delicious lunch program and hear amazing kitchen success stories from individuals who have done just that. Caleb Zigas, Executive Director of La Cocina will talk about their highly touted program and introduce two graduates who will share the stories of their successes. 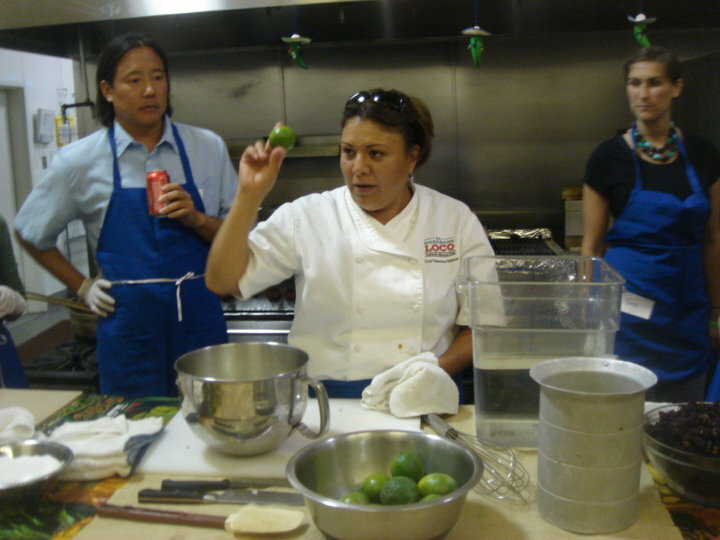 La Cocina, is a non-profit focusing on mentoring low-income and immigrant entrepreneurs to jump start and grow their food businesses. In addition, Celia Sack of Omnivore Books will grace us with a perfect array of lovely books, so bring you wallet. Don’t miss this inspiring and informative program at the Jewish Community Center, San Francisco! Caleb Zigas brings a love of food and a passion for social justice to La Cocina and believes that everyone deserves an opportunity to make a living doing what they love to do. As Executive Director of La Cocina, Caleb has helped shape the incubator program as it has achieved national recognition. Cristina Arantes is the owner of Kika’s Treats. She was born in Brazil where she spent her days baking and eating chocolate. She moved to SF in 1996 and started her business 10 years later. Her company makes chocolate covered confections using alternative sweeteners such as coconut palm sugar and organic unrefined cane sugar.